I can honestly say that last weekend was one of the funniest rugby trips I’ve had in a long time – maybe even ever. I feel like I’ve seen more of the Big Smoke than I ever have done after this weekend and I’ll never view public transport in the same light again! From a miscommunication in train stations, unnecessary taxi rides, fantastic rugby league and meeting up with old friends, this weekend seemed to have everything. I’ll try and give you a rundown of what my weekend consisted of and hopefully you’ll have a little giggle at it as well. The first hurdle I had to get over actually came the less than 12 hours before we were due to set off. My dad called me on the Thursday evening and his immediate words were ... ‘We’ve got a problem!” So thanks to those rather uncomforting words I already had thoughts rushing through my mind of lost tickets, no tickets, cancelled trains, broken limbs – you name it, I was thinking it. It felt like it was starting in a similar way to my visit to Toronto back in May. My dad was meant to come on that trip as well but his visa didn’t come through in time. Luckily it was just a slight change in my plans to catch the train the following morning. I was meant to join our party on the Friday morning train to London Euston from Wigan North Western but dad had received a tip-off from a (quote, unquote) “reliable source” that the train we would be on was no longer stopping at Wigan, or Warrington, but going directly to London from Preston. So after a sigh of relief that the trip was still on I assured my dad that it wouldn’t be a major problem to get to Preston instead, it just meant a slightly earlier set off time from home. But, lo and behold, as I joined the gang in Preston and set off on the train, what were the next two stops? Wigan North Western and Warrington!! After a few tuts and groans from myself and threats of charging the organisers, Cath and Tony, my expenses for the extra £7 I had to pay to get up to Preston all was forgotten and the journey was a good one. I’d like to put here that Cath and Tony also organised last year’s trip to London but they were adamant that that would be their last time. However, their itchy feet meant they just couldn’t leave it alone and the only difference this time was that we were on a train and not in a coach! I arrived to not one but two meat pies, a crate of lager off my dad, reserved seats and all was well. As we’d set off nice and early we arrived in the capital in good time. Everyone left the train together but somehow, in the space of less than a quarter of a mile we all seemed to split apart. My dad and I arrived at our hotel (which was the Travelodge across the road) first, despite leaving the station last, soon followed by everyone else rocking up between five and 15 minutes later from various different directions. God knows where they’d all been. After checking in we were informed by the hotel receptionist that we would be sharing a double bed. I genuinely think the last time this happened I was nine and it was at Disney World in Florida – I was originally sharing with my older sister but because she was severely sunburnt, and I had a habit of kicking her in my sleep, I was duly chucked out and had to sleep elsewhere. So after making our way through a crowd 15 to 20 people ranging from about 18 to 70 years old all stuck in the same corridor trying to find our rooms, some of whom weren’t with our party (think scene from a Carry On... film), we made it. A quick shower and change and we made the first of many trips to the Royal George next door for a well earned pint. 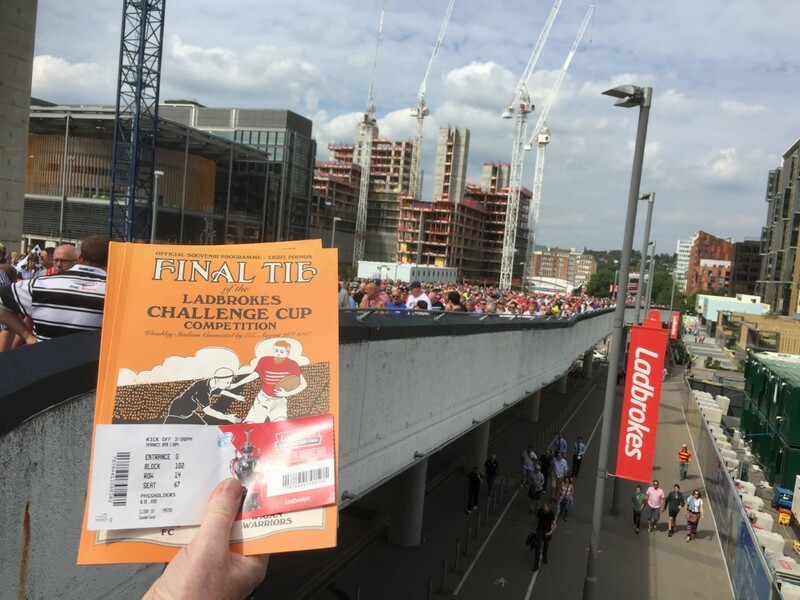 Ultimately, we were in London to watch rugby league so it would have been rude to miss out on London Skolars’ home match with the South Wales Ironmen. It was by no means a glamour tie as both sides are languishing in the League 1 Shield group but dad had arranged to meet up with some friends from Barrow Raiders so we made the short trip on the tube to Wood Green station. A nice walk down White Hart Lane in the late evening sunshine found us at the New River Stadium for a second year running and, yet again, the real ale kegs were flowing. There was a lot on the game for the home side as they could move to the top of the League 1 Shield table with victory and were still in with a shout of claiming a piece of silverware at the end of the season if they can finish inside the top two and claim a place in the Shield Final. The Ironmen on the other hand were rooted to the bottom of the table by a point following a couple of disappointing results against fellow strugglers Hemel Stags and Oxford in recent weeks and would be desperate to make a good show of themselves in front a decent crowd of just over 1,000. 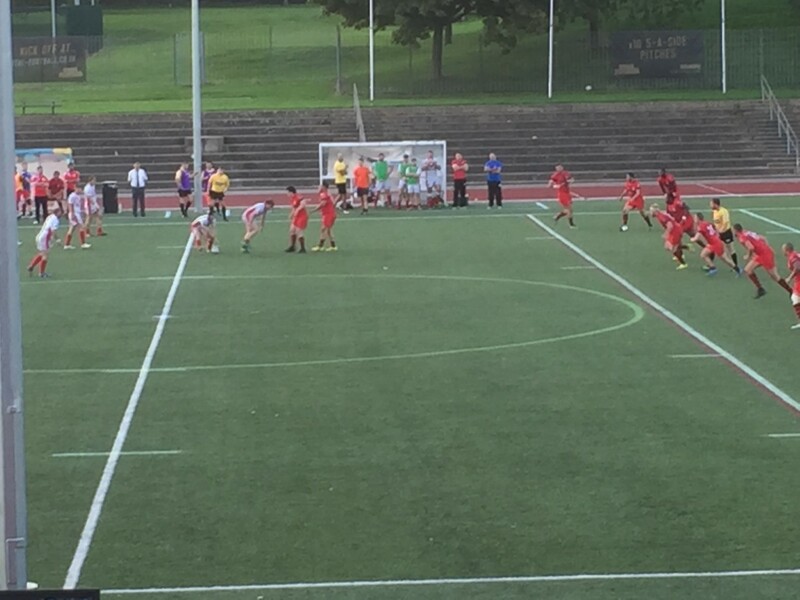 But the Skolars are on a role at present and produced a decent performance in this Friday Night Lights match to record a record sixth-successive win since turning pro as the Ironmen couldn’t stop them scoring six tries to one and gaining a 32-4 victory. 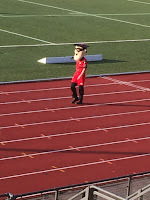 If the match was relatively uneventful then the mascot once again made up for it in his enthusiasm for his Skolars team. Running up and down the athletics track like a young Usain Bolt he lived every minute of this game. 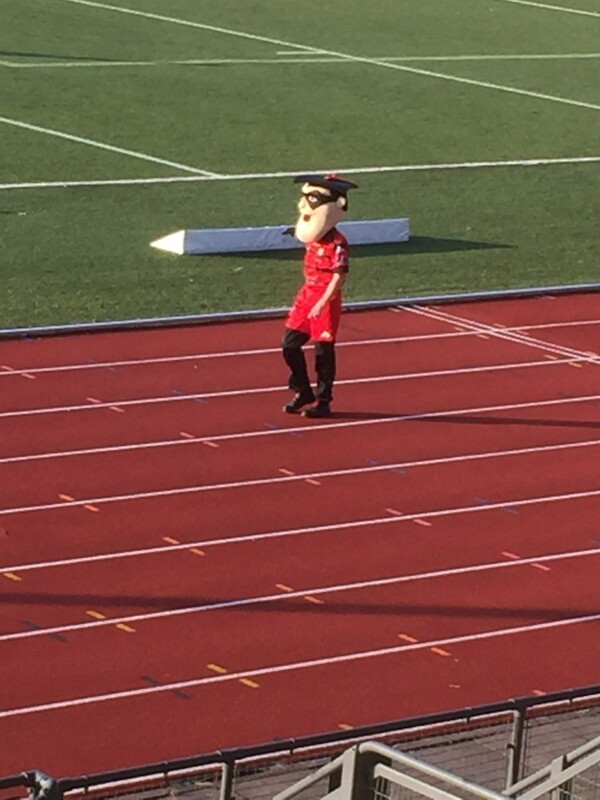 Thankfully for him the Skolars were much more comfortable than they were in last year’s defeat to Toulouse where he spent much of that game on his knees praying to the heavens. 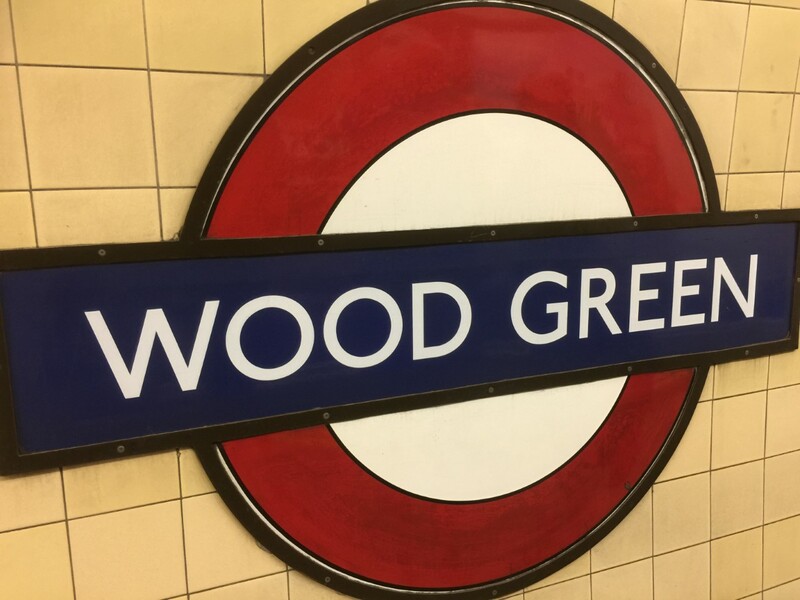 The evening ended with a few drinks around the Wood Green tube station before it was back to the hotel for an early(ish) night. Saturday morning arrived and the excitement intensified as today was the real reason for our annual pilgrimage to London – the Challenge Cup Final – at Wembley Stadium – Hull FC v Wigan Warriors. As is tradition we all wore our Barrow colours and sat down to enjoy breakfast and talk rugby league. During which I stood up to replenish my empty plate and was stopped in my tracks by an elderly gentleman who had spotted my Barrow Raiders shirt. He started telling me all about how he once played in a Hull side that travelled to Craven Park and lost the game. He was wearing a Hull FC Vice President jacket and he turned out to be a Mr Arthur Brummitt, a member of the Hull FC Vice President’s Association. Not only that but whilst talking to him, his wife and daughter Susan for some time we realised that they know my in-laws and live very close to their farm in East Yorkshire. Talk about living in a small world. It wasn’t long after that when we made our way across North West London to Wembley where we had planned to meet my cousin, Gail, for a drink and to pass on a couple of tickets we had to for the game for her and her friend whose birthday it happened to be. 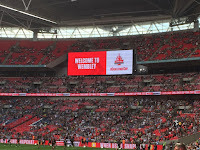 We always seem to forget which Wembley stop to get off at for the stadium and, as we did last year, we alighted at Wembley Central which is a good half a mile walk up to the venue rather that the easier Wembley Park. After eventually finding my cousin we made our way into the pre-match Fanzone. As we stood drinking, talking and reminiscing about memories of playing jokes on our family members (predominantly Gail on her younger sister) it turned out that Gail’s friend had never been to a rugby league game before. Being from the south he had a rather well-to-do accent but claimed he wasn’t posh. 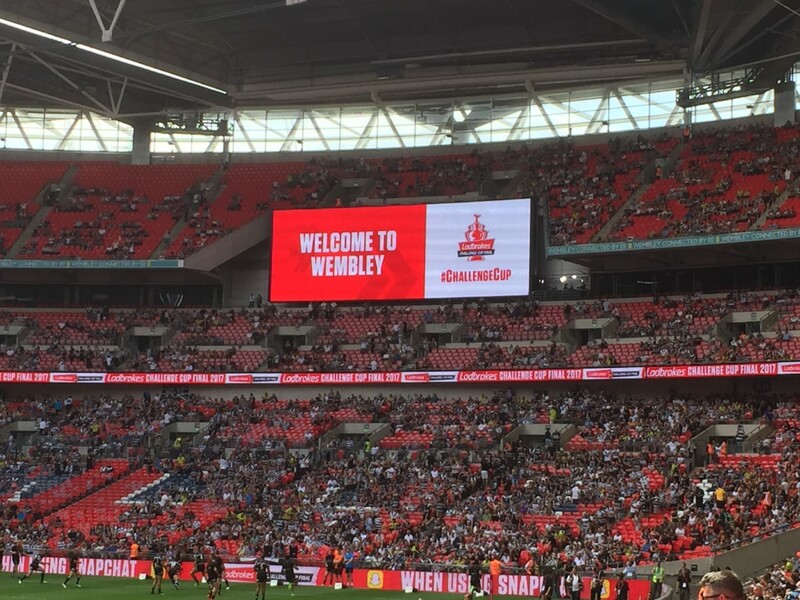 However, he didn’t help his argument when he stated the only time he’d been to a sporting event which had almost as big a crowd as this one was a polo match! Enough said. 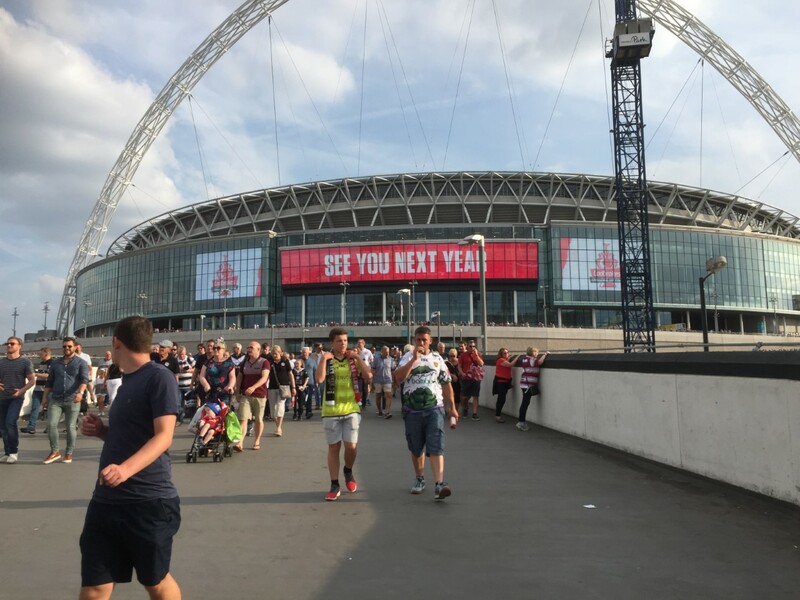 As the clock ticked nearer kick off time we went our separate ways into the stadium and agreed to meet after the game for another round of drinks. The seats we were in were fantastic (and I had many a moment winding Ian up afterwards about our seats compared to his) and as it wasn’t too crowded in our area spent time looking around the stadium at the other supporters making their way to their seats. Being tied to Hull by marriage I was on the side of the Black and Whites and was confident enough to put a whole one pound bet on the outcome that Hull would come out victorious. My dad claimed that he was forcing himself to support FC, despite them being from the wrong side of the Pennines, as he just didn’t like Wigan. 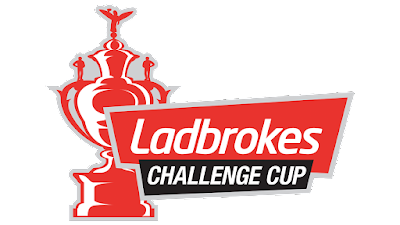 The game was too close to call but the first ten minutes belonged to the Warriors where they took a 6-0 lead thanks to John Bateman’s try and George Williams’ conversion to put pressure on the cup holders early on. They weren’t ahead for too long though as by 20 minutes Hull had turned the score to 12-6 in their favour with tries from Fetuli Talanoa and Mahe Fonua, both converted by Mark SNEEEEEEEEEEEEEEYD, the eventual Man of the Match. But Wigan would come back and set up a nervy second 40 minutes when Oliver Gildart crossed for a try to make the score 12-10 at half time. During the break we went and topped up our drinks and got chatting to Gail’s son Lee, who happened to be sitting fairly near to us. Having not seen him for a long while it was great to catch up and complement him on his further receding hairline (and in-joke between us two cousins). As a neutral it was easy for me to sit back and enjoy the match but for supporters of either side it must have been hell on earth. Hull scored again ten minutes into the half – an amazing diving effort from Fonua – and managed to hold on until the final seven minutes when Wigan made it 18-14 from Joe Burgess’ try. 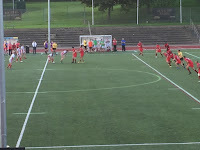 In between those the video referee sided with the on-field referee and disallowed a try for each side. 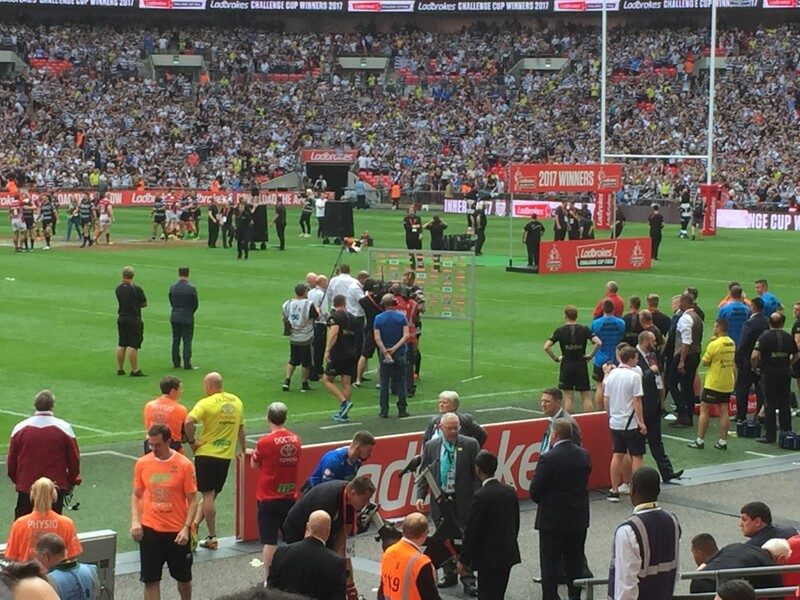 The first denied Fonua a hat-trick for obstruction when it looked all-the-world a certain try as, for the life of me and the majority of the supporters in the stadium, there didn’t seem to be anything wrong in the build-up. 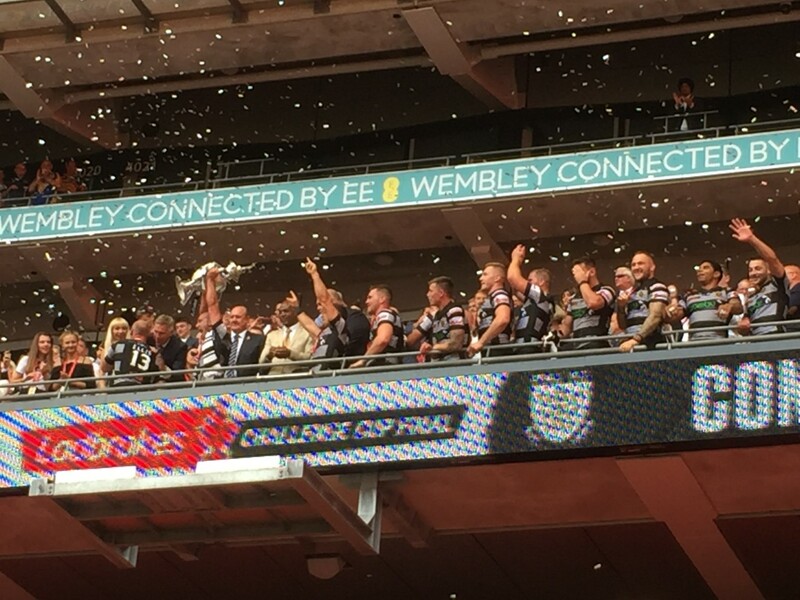 The second was when the video ref finally judge Tony Clubb to have knocked on but only after spending a good few minutes edging the video backward and forward to determine if the ball was stripped in the act of scoring (“They tried everything they could to give Wigan that try!” was my dad’s response). If that had been given it could have paved the way for the Warriors to win the match. But the drama didn’t end there as right on the final minute the referee brought play back for a forward pass as Burgess went over. Thinking they had equalised the red and white side of the stadium went absolutely crazy but soon quietened down when they realised it had also been disallowed. There was no need for the video ref that time as it was clearly forward from where we were sat. I would go as far as saying this game was better than last year’s Final. Once again FC were outstanding but Wigan’s decent spell in the last 15 minutes or so was good enough for them to have nicked it if the match had continued for a further five or ten minutes. With the final whistle came the joy of winning my bet – all of £3.30 including my pound back. “Better in your pocket that theirs” as the saying goes ... but don’t make a habit of it. Please gamble responsibly! 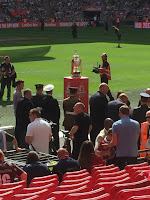 The seats were great and I even managed to sneak on TV as the teams went up the steps to claim their prizes. 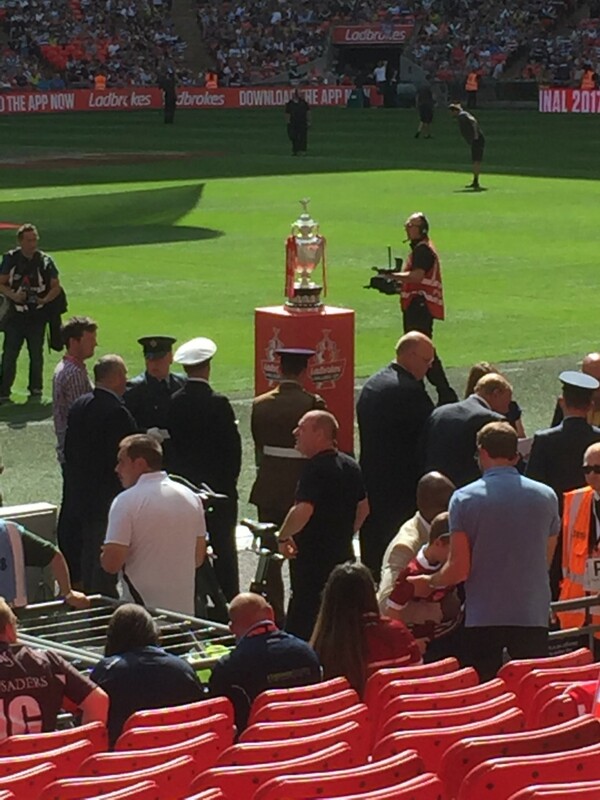 I’ve got a great video of Hull walking up and lifting the trophy which I’ll cherish for a long time. I was in awe of both Sneyd’s kicking game, as I have been all season and against Leeds in the Semi Final, and Fonua’s shaved top and mullet hair style, which I had to raise an eyebrow at?! Only a top sportsman could get away with something like that. After the game we let the pedestrian traffic die down by stopping for a drink at the Double 6 Bar on Wembley Park Drive – a bar that appears small and crammed from the inside but wander through to the back and you come across London’s very own Narnia! A huge beer garden, with its own bar and toilets, that would fit the inside of the pub in it at least three times over. 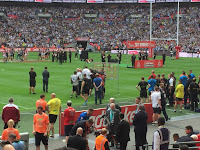 Another bonus from the day came when Gail’s friend confirmed that he had been converted to rugby league after watching that match and was struck by the sheer noise within the Stadium at times. Later in the evening we ventured down to Covent Garden where we had been told the Hull fans would be celebrating. Indeed they were. 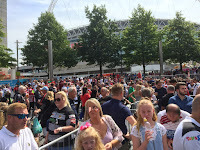 When we got to a crossroads with pubs on either side, the street was full of Black and White rugby fans singing Old Faithful, Come on you ‘Ull, and We’re the Black and White Army and whacking a poor street rubbish bin for a drum beat. Fair play to the pair of female Wigan supporters in the pub across the road who put up a very good fight with their own, singing and chanting when prompted by the hoard of Hull fans. Now then; where the hell do I start with Sunday...? 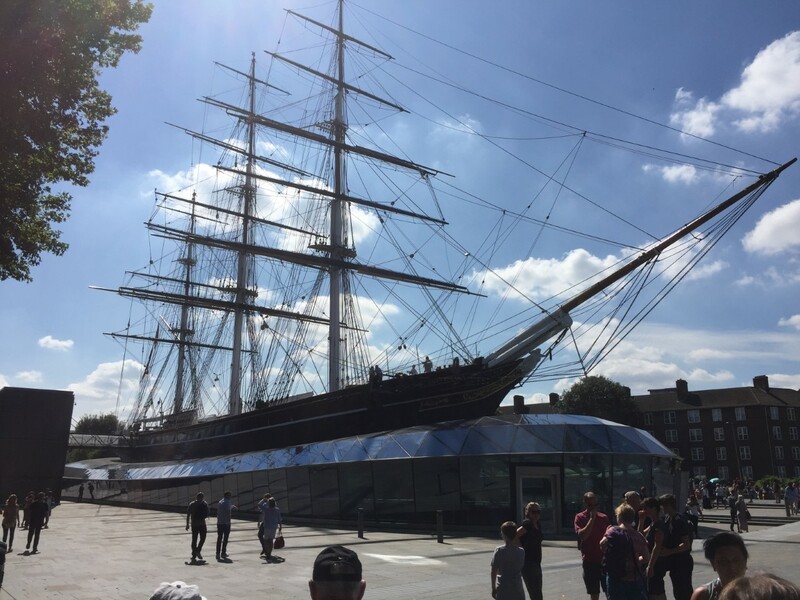 After spending a relaxing afternoon in a Greenwich beer garden I feel like I could make my way around the capital with my eyes closed. We went on such a varying amount of public transport that I swear if I see another big red bus I’ll throw myself in the Thames next year! 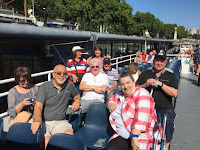 Whilst we were eating breakfast we decided to join a number of the group on a boat trip along the river from Waterloo Bridge to Greenwich ... or was it Westminster Bridge? And that’s where the problems started. Being part of a group of people where you’re the youngest by at least ten years automatically puts you in the position of event organiser – or more appropriately, ‘Group Carer’! The day started with a ride on the number 58 bus. No, hang on ... number 59 ... I think. As expected it took us all the way to the other side of Waterloo Bridge. Not the bridge we needed to be at. Cue the jokes and jibes in Terry’s direction. 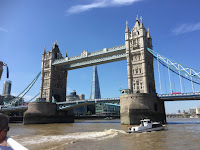 We needed to be back on the north side of the Thames at Westminster Pier so I decided to jump in a taxi with Cath and Tony and wait for the rest of the party there. 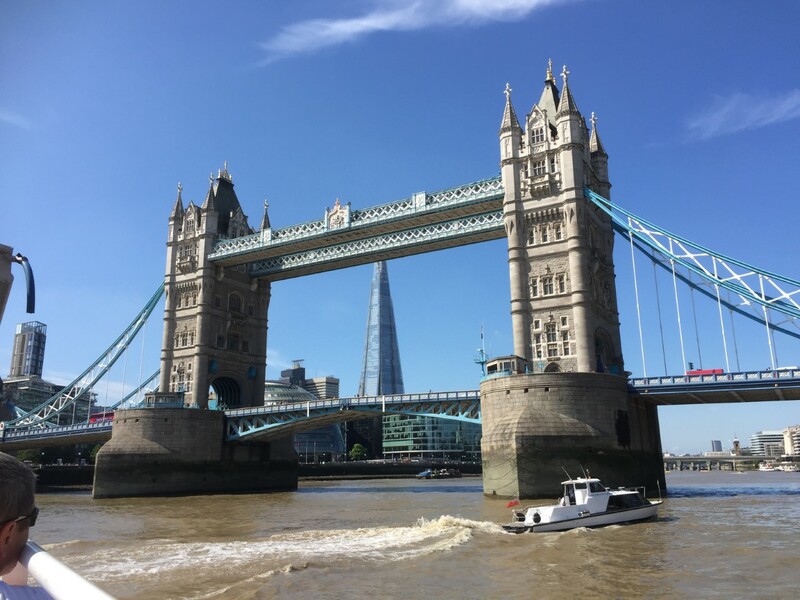 The trip along the Thames was great. The sun was shining; there was a nice breeze and an excellent tour-guide-who-wasn’t-a-tour-guide-just-a-crew-member who pointed out all the sights along the river. Luckily I’d taken some sun cream and smothered myself in it so didn’t feel like I was burning up. 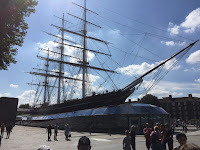 We docked up at Greenwich Pier and enjoyed a few pints in The Gypsy Moth pub behind the Cutty Sark. At first it was hard to get a table for six of us (we’d lost the other six so we decided to stick together) but good old Ian spotted a couple of lasses moving off a six-seater and subsequently moved the fastest I’d ever seen him move to get us the table. On the way back our enviable record of getting on the wrong public transport continued. Needing to be on the other side of Westminster Bridge we eventually bartered with two Eastern European taxi bike riders to take us where we needed to go for the grand sum of £25. So we squeezed into to bikes and set off ... literally across the bridge where they turned around and dropped us at a bus stop! I genuinely thought they were taking us back to Euston. We were then unsure what bus to catch. I can’t even remember which bus it was but it took us to Trafalgar Square and went back over the bridge the way we had come. It was the most pointless £25 any of us had ever spent. I asked a number of bus drivers which one we had to get to Euston but none of them went that far. Therefore we caught the 456, 463, 435 or whatever it was to Oxford Street. We got all the way down Oxford Street when I realised we’d come too far and had to cross the road and go back the way we had come... again. Eventually we got on the number 10 which went directly to the junction where our hotel was. Thanks to a helpful local lady, who enjoyed our unique northern sense of humour, we managed to get back. It had somehow taken us three and a half hours to get back so we immediately went into the Royal George and downed the first pints we got. We needed them. After reconvening at nine o’clock I’d already arranged to meet a friend from Leigh, Alan, who I’d met in London last year and kept in touch with. Alan was only round the corner so my dad and I made our excuses and wandered around to spend the rest of the night in the company of a handful of Leigh Centurion fans. 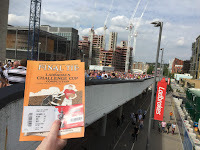 I suppose I’ve digressed away from the rugby a bit this week but I’ve always tried to give a picture of my Challenge Cup experience and the whole Cup Final weekend is fully part of it. The journey back on Monday was thankfully straight forward and I was able to get off at Wigan North Western as originally planned. I hope you’ve enjoyed reading about it as much as I have doing it.